There has been lot of hue and cry after the consecutive defeats of India at the hands of Australia and one of the most experienced batsmen, VVS Laxman has come under lot of criticism recently. Quite a few ex-players of India and the critics of the game have demanded his ouster from the squad due to play the third Test at Perth. We will analyse whether just Laxman was responsible for the recent debacles of India, should he be declined from the Perth Test and the performance of other batsmen recently. Australia is leading the four Test series 2-0 which was achieved after they beat India by 122 runs in the first Test at Melbourne followed by an innings and 68 runs victory in the second Test at Sydney. The Indian batting line up was unable to sustain the pressure of quality fast and swing bowling of Australia and a little resistance was exhibited in the second innings of Sydney Test when they thrashed 400 runs before being bowled out. 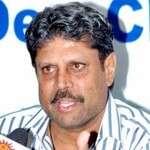 Sachin Tendulakar has scored most runs by dispatching 226 runs at an average of 56.50, the best of 80 with two fifties. The all-rounder Ravichandran Ashwin holds the second spot with 143 runs averaging 35.75 runs with the best of 62 runs. MS Dhoni, Rahul Dravid, Virender Sehwag and Gautam Ghambhir follow the list with a fifty each from them and having average in twenties. Laxman has scored 71 runs at an average of 17.75 runs with one fifty while Virat Kohli is on the 10th spot with a total of mere 43 runs with a bleak average of 10.75 runs. He scored 2, 8, 1, 8, 2, 5, 55, 3, 20 and unbeaten 32 against Pakistan, Australia and south Africa from April to November, 2004 before he thrashed unbeaten 248 runs against Bangladesh in December 2004. 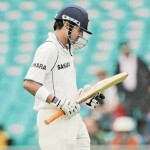 He struggled again while managing 13, 0, 27, 12, 5, 31, 6, 14, 13 and 49 in the consecutive Tests against Australia, South Africa and Sri Lanka during January to October, 2008. The 38-year-old was given different titles by the critics and few of them titled him as ‘Edulkar’ as well but the national selectors maintained their confidence and the result is obvious. Virender Sehwag scored 5, 4, 2, 0 and 11 runs against Pakistan and England in early 2006, followed by 25, 32, 13, 11, 0, 0, 8 and 33 runs against South Africa and England from December 2010 to August 2011. VVS Laxman has also faced thin periods during his 15 years Test career but came back strongly and especially has batted extremely well on the foreign soils. The right hand batsman smashed unbeaten 176 runs against West Indies at Kolkata in November, 2011, and has scored 32, 31, 2, 1, 2 and 66 runs against West Indies and Australia after that. The 37-year-old has taken part in 132 Tests, hammered 8697 runs at an average of 46.50, the best of 281 with 17 centuries and 56 fifties. He has played 27 Tests against Australia and thrashed 2350 runs at an excellent average of 52.22, the best of 281 with blasting six centuries and 12 fifties. Laxman is a match winner who is going through a lean period, the selectors and team management should boost his confidence by retaining him in the team. He is a cornered tiger, has the ability to win matches at his own and the Test at Perth might well bring an evidence of his class.